This was the third year the scientists, engineers, and leadership of Novozymes RTP hosted the BECHS students. Following a brief welcome and introduction to the products and industries Novozymes supports by Dr. Derrick Lewis, the students were treated to an interactive tour of their research laboratories. 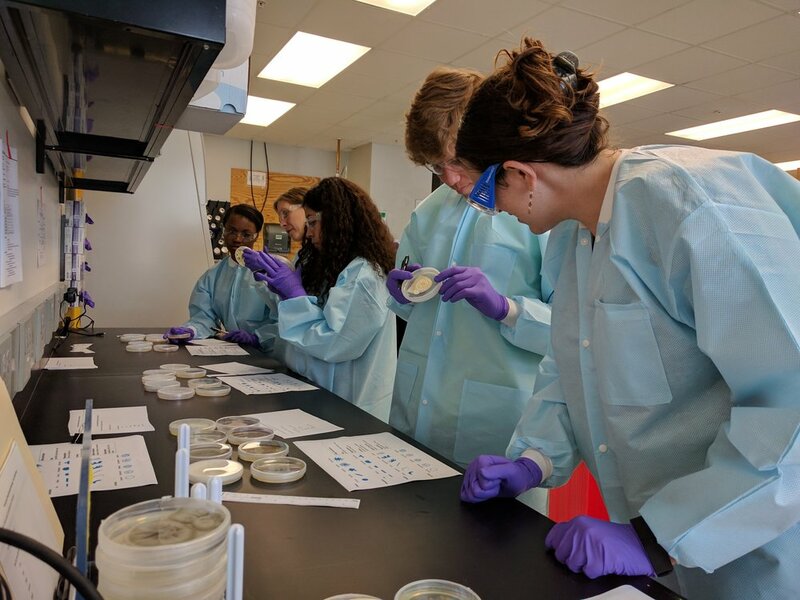 The scientists at Novozymes walked the students through how they screen, select, characterize, and then develop commercial applications of naturally occurring microbes for use in promoting the production of crops around the world. After the tours, the students were treated to lunch where they got to meet with Novozymes staff and learn more about their backgrounds, where they went to school, what they majored in, how they came to work in biotech, and what they like about their jobs. The students were amazed by the diversity of educational backgrounds, personal interests, and paths to success. 2017 was also the third year the students visited BioResource International (BRI). This relatively young biotech company, founded in 1999, is based on discoveries made at NC State University. BRI has commercialized 3 animal feed enzyme products to date, with distribution to over 30 countries worldwide. 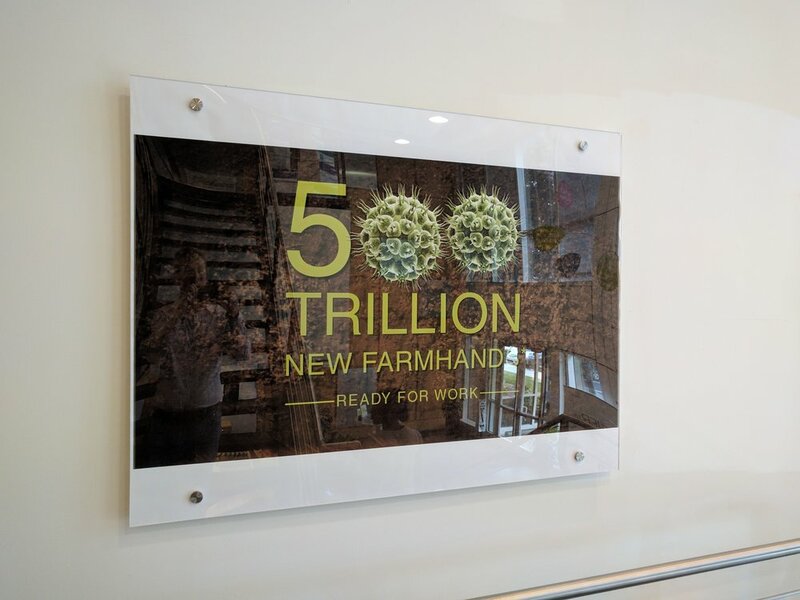 Getting to see this rapidly growing former "start-up" biotech. When they first arrived, they were welcomed by Dr. Fang Zhou, Director of Research. The students then watched a video welcome by Dr. Shih, co-founder and CEO, who couldn't be there that day. In the video he described the history of the company and value of not being afraid to follow your passions. Students then heard from other BRI team members Dr. Kelly Broccio, Dr. Ching-Sung Tsai, and Kate Leahy. 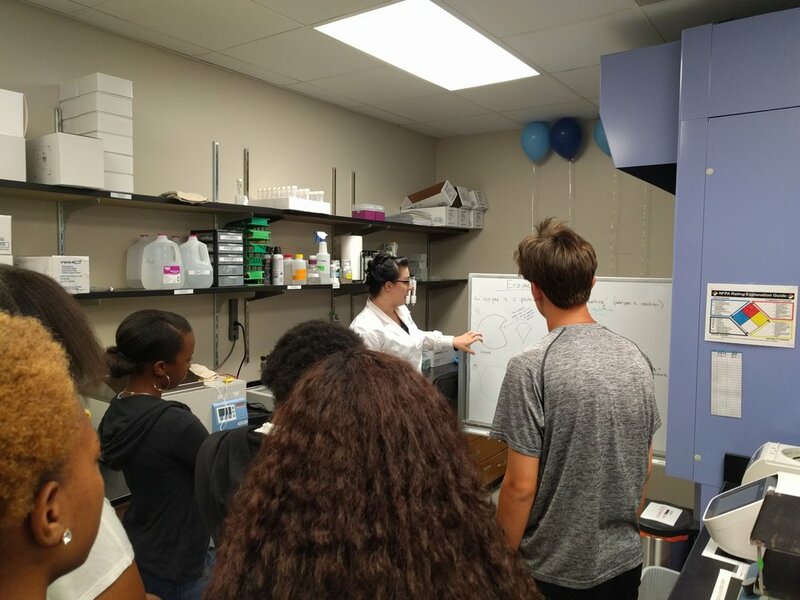 The students then toured BRI's laboratories, stopping along the way to meet, interact, and learn from multiple BRI scientists. 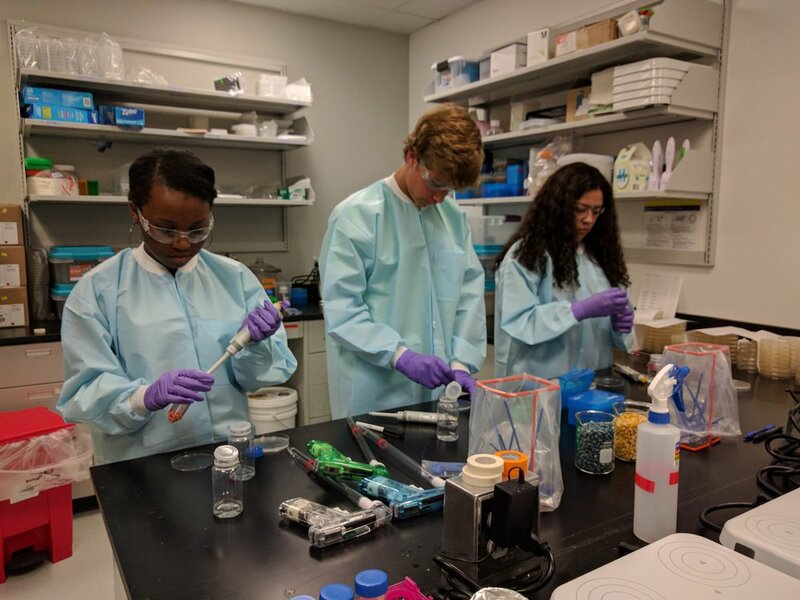 They learned about feed enzymes and how they work; helping the students understand how the enzymes BRI produces are key to achieving their mission to improve food animal production around the world. After the tour, the students and the BRI team discussed career paths with many of the students asking what they needed to do to get a job at BRI in the future.